MVE CryoShippers are designed for the safe transportation of biological samples at cryogenic (-150°C or colder) temperatures. 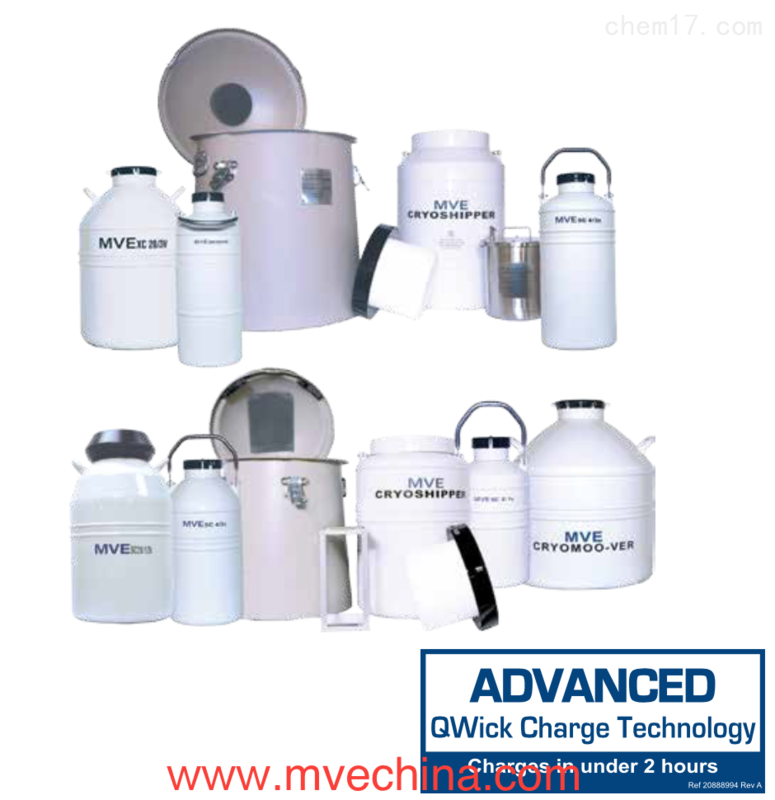 MVE CryoShipper Series utilizes an advanced QWick Charge material that charges with liquid nitrogen in fewer than two hours, providing the capacity for same-day vapor ship- ping. Manufactured from durable, lightweight aluminum, both series employ a hydrophobic com- pound which absorbs the liquid nitrogen to ensure dry, spill-free vapor-phase shipping. A protective shipping carton is available for all models (except the SC 20/12V). These containers may be used to ship your samples with a “non-hazardous" classification throughout the world, thus reduc- ing costs and helping to assure sample viability.